On the weekend June 15-17, the Astroterps went on a camping trip to Spruce Knob, West Virginia. We left Friday afternoon, stopped for dinner along the way, and made it to Spruce Knob Lake Campground by dusk. We headed up the dirt road to Spruce Knob Peak, the highest point in West Virginia, for some stargazing. Unfortunately, the peak was covered by a single large cloud blocking out the entire sky. After waiting for an hour for the sky to clear up but to no avail, we headed down to Spruce Knob Lake, where the weather cleared up completely! Viewing conditions were perfect. Structure in the milky way was clearly visible, and with the Astroterps telescope, we took a closer look at Saturn and several Messier objects. Andromeda galaxy was visible with the naked eye, and with binoculars it was clear as day. 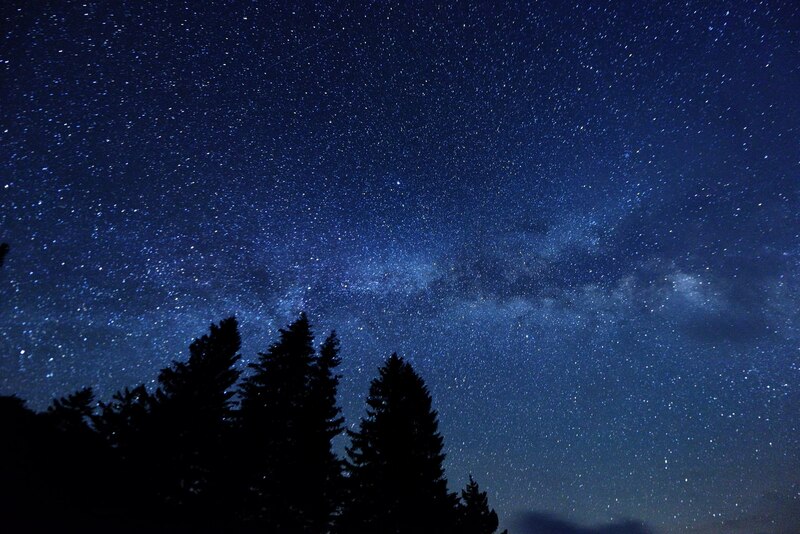 We were very fortunate to have Kohei Ueda with us, since he took spectacular pictures of the milky way! 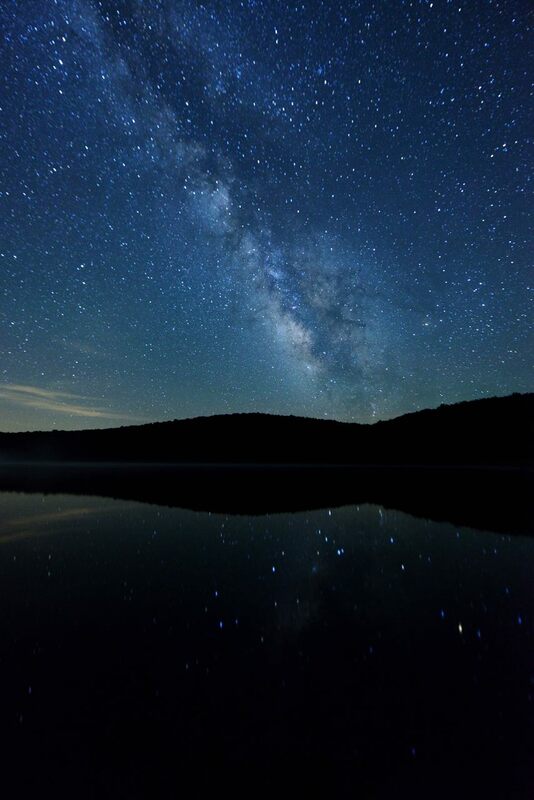 Sagittarius and Scorpio can be seen reflecting off the lake's surface, while the faint glow on the left is Zodiacal light, sunlight scattered by space dust. The second day we went for a hike and ate lunch at the top of Spruce Knob. For dinner we grilled and had s'mores over a campfire, then headed back to the peak for stargazing. Unfortunately the second night was quite cloudy towards the horizon. We met some fellow skygazers, who were kind enough to let us look at a high zoom of Saturn. Fortunately, we were able to point our telescope at M13, the Hercules Globular Cluster, and M51, the Whirlpool Galaxy. Sunday we toured Greenbank Telescope and visted the science center and gift shop, then headed home after a long and adventurous weekend.